Creativity and the ability to present an abstract topic in an aesthetically relevant and meaningful way are the prerequisites that are essential in designing a stamp. 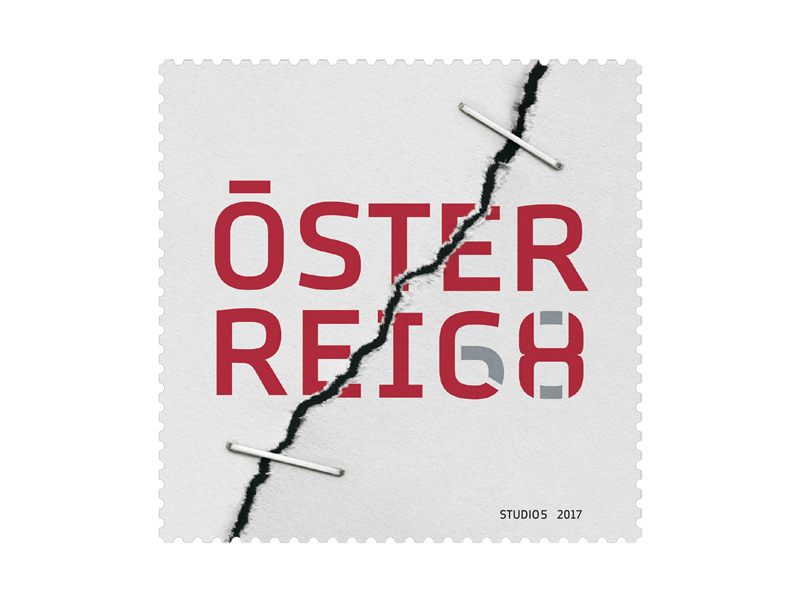 As part of the stamp contest organised annually by Austrian Post together with the daily newspaper "Die Presse", the "Tensile Test" design was crowned the winner for this year. What was being looked for was a "stamp with vision"; the topic was "Visions of Austria's Future": how will Austria develop in economic, social and cultural terms over the coming decades? The challenge in this competition was to present this vision on a stamp in a 35 millimetre by 35 millimetre format. 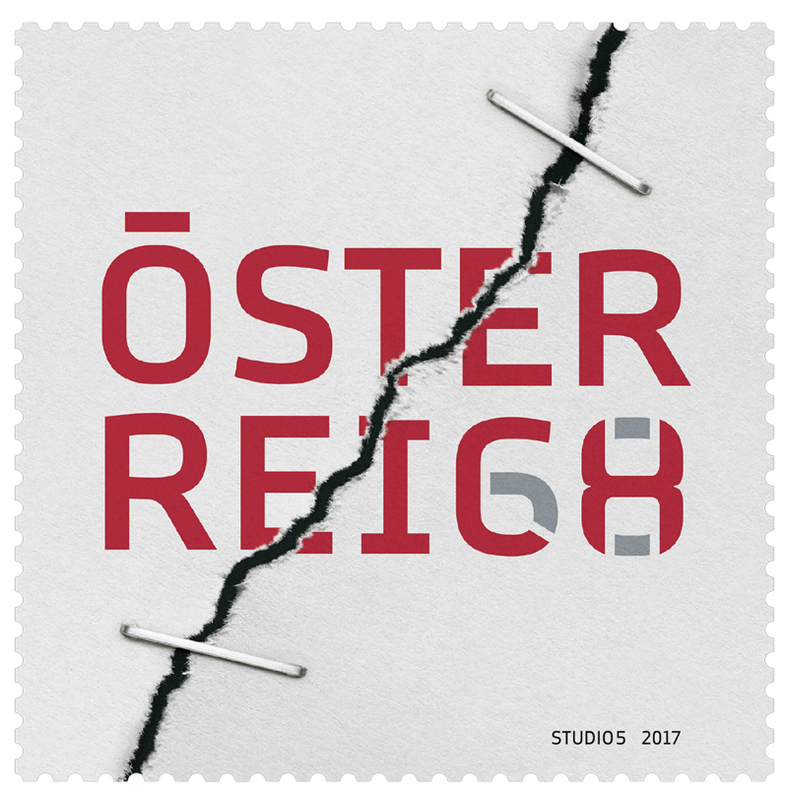 A total of 77 designers accepted this challenge and submitted their designs by 1st July 2016, all dealing with the topic of Austria's future in a graphic, illustrative or typographical form. What was particularly noticeable was that many of the submissions addressed current political issues such as the refugee crisis or the presidential elections in Austria. So, for example, there were designs on the topics of diversity, equal rights, ecology or expanding our horizons. Still others attempted to portray the coexistence of various nations through the use of symbols. From all the entries, 15 finalists were chosen, with an expert jury ultimately choosing the competition winner from these designs. The design of the winning stamp with the title "Tensile Test" shows the word Austria written in red. The script is rent by a deep tear which is being held together by two staples. The man behind the design, Hannes Glantschnig, explains that the inspiration for the design came from media headlines following the first round of voting in the presidential elections in May 2016, which spoke of a "deep rift in the land". - Even if there is a deep rift running though Austria, we must all do everything we can to heal the breech so that the unity of our land can survive into the future, says the designer. As a special feature, the denomination of the stamp, 68 cents, is typographically integrated into the last two letters of the script. In 2008 Hannes Glantschnig and Doris Steiner founded the advertising agency Studio5 kommunikations Design in Baden bei Wien, where he is the Creative Director. Here every order becomes a bespoke project following the principle of "no design without a concept". Domestic and international clients from a range of branches and sectors receive support and personalised care in the fields of corporate design and brand development, editorial design and design of packaging, advertising and promotion as well as digital media and web design.